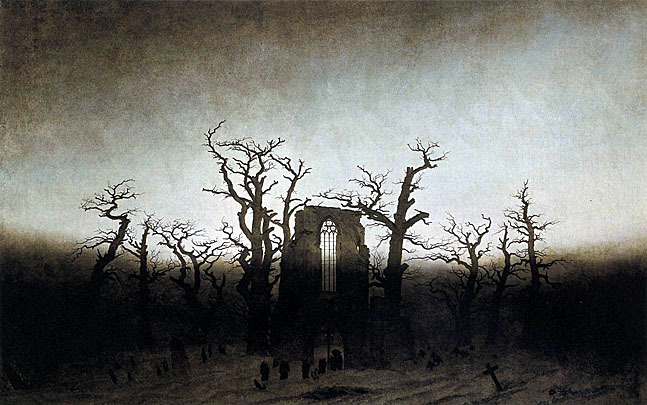 Caspar David Friedrich (1774-1840) was a German painter of the Romantic period, an era in which a growing disillusionment for industrialization and materialism turned people toward the search for a deeper sense of spirituality and greater connections with nature. 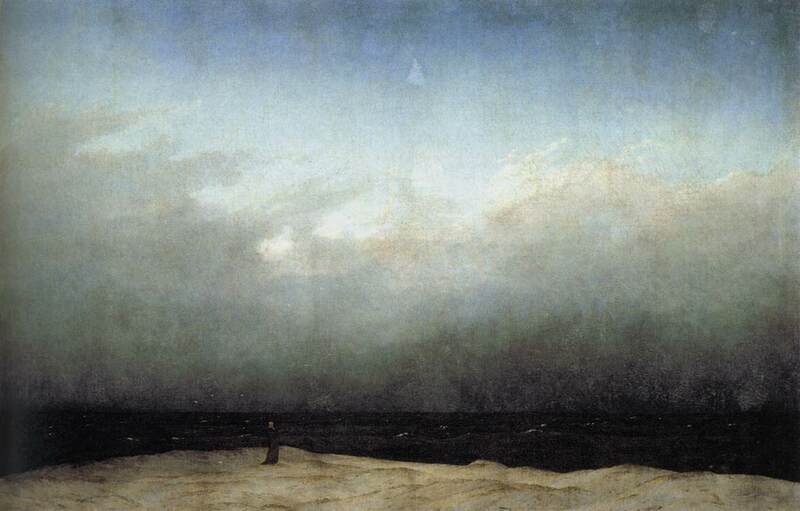 Like his contemporary JMW Turner, Friedrich sought sublimity, but took a different path to reach it; while Turner aimed at astonishing through horror, Friedrich sought to engender spiritual contemplation, to draw man into the great mystery of existence, through misty, bleak, vast-seeming allegorical landscapes. 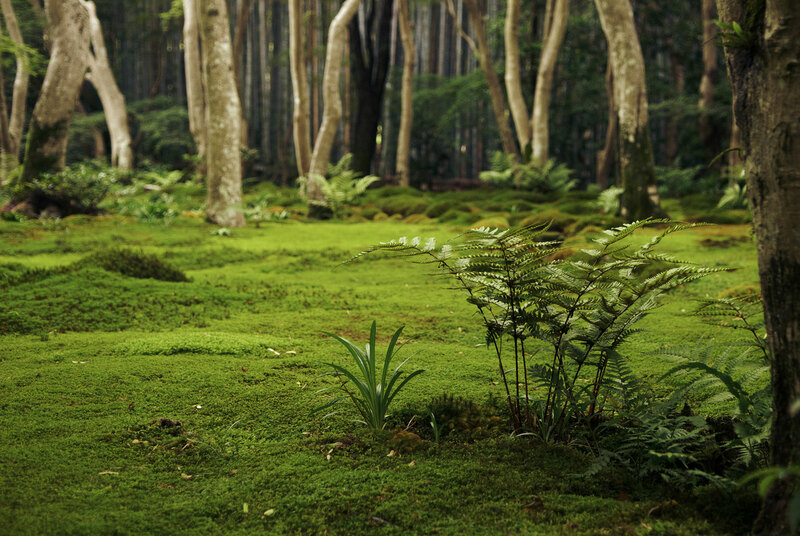 In his paintings, man is often little more than a modest shadow within the swaths of forest or sea and sky. 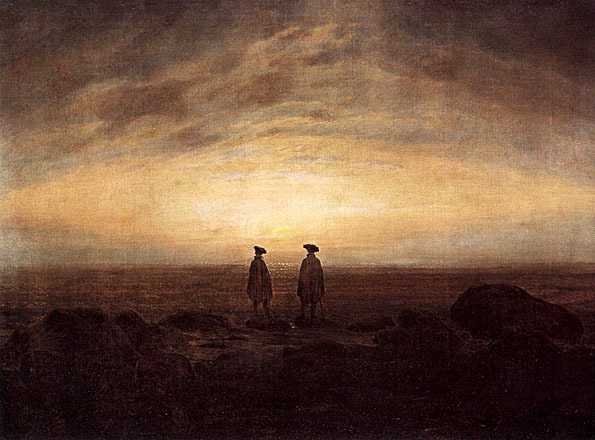 As art scholar Elizabeth Prettejohn has noted, Friedrich’s paintings often make use of the Rückenfigur — a human figure, often in the foreground, seen from behind, contemplating the view. Because the Rückenfigur is faceless, anonymous, the viewer is encouraged to project him- or herself into that role. This not only strengthens the contemplative experience; it is also intended to suggest that the scene is not a representation of objective reality, but a version of it portrayed through a subjective lens. Thus there is an existential element in Friedrich’s paintings, which suggest that nature is not inherently emotive or meaningful; it becomes so through man’s efforts to discover meaning. Friedrich believed that “the artist should paint not only what he sees before him, but also what he sees within him.” A deep sense of loneliness and a preoccupation with death are prolific in Friedrich’s art and, by implication, were within Friedrich as well. Yet Friedrich seems to have found beauty and spiritual substance in these thoughts, and his paintings serve as gentle reminders that the loneliness of human existence and the ever-looming presence of Death don’t have to be received with misery or terror, but can in fact lead to peace and enlightenment. For more information about Caspar David Friedrich and his work, visit Caspar David Friedrich: The Complete Works. As writers it’s like we’re doing that already. Or perhaps that’s the ultimate goal. His ideas also seem a little related to quantum physics, the notion that we can’t know the actual observer, or to question, who is the ultimate observer? Thanks for reading and for your comments, Hunter! I’d never made the connection to quantum physics before, but I think you’re right. I love discovering connections like that, so I’m thrilled you shared it. Thanks again!